Erin Callahan St. John is a full-time professional artist working in clay. 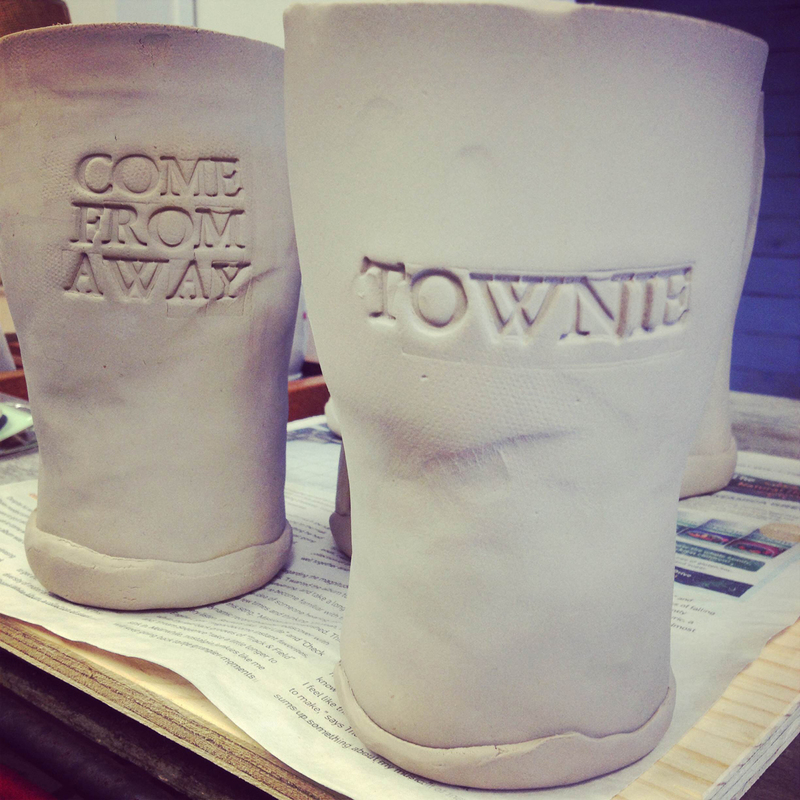 She initially learned her craft from Isabella St. John of Blue Moon Pottery – her aunt, and potter of 45 years. Later, Erin attended the Textiles Studies program at The College of the North Atlantic as well as the Nova Scotia College of Art and Design University, where she majored in Ceramics with a minor in Art History. During the 15 years she has been working with clay, Erin has apprenticed, graduated and received funding to create one of a kind pieces and developed production lines. Today she is an active member in the local art and craft community, and from her studio in the Quidi Vidi Village Plantation, makes work based on the wildlife and folklore of Newfoundland. In this podcast, Erin talks with Wyatt Shibley about how she came to be a potter, the history of studio pottery in Newfoundland, and the process of setting Newfoundland language in stone. This episode is part of a series of programs in partnership with the Memorial University graduate course Folk 6740 - Public Folklore, and the Craft Council of NL, to document craft traditions in the province of Newfoundland and Labrador.